Drones are versatile: They can deliver packages, conduct search and rescue missions and capture aerial shots of your backyard. These flying gadgets are not only getting smarter but are increasingly tailored for certain markets. Airdog, an actions sports drone startup, launched a programmable drone on Wednesday that follows and films users doing extreme activities such as surfing or off-road motorcycle racing. The Airdog ADII tracks movements with the help of GPS-enabled wristbands. The drone pairs with a waterproof wristband called AirLeash, which is used to initiate takeoff and make quick adjustments during the flight. Related: Will tiny drones become a must-have for soldiers? The AirLeash replaces the need for a remote or smartphone app required by most drones, which is particularly useful for activities like sports. 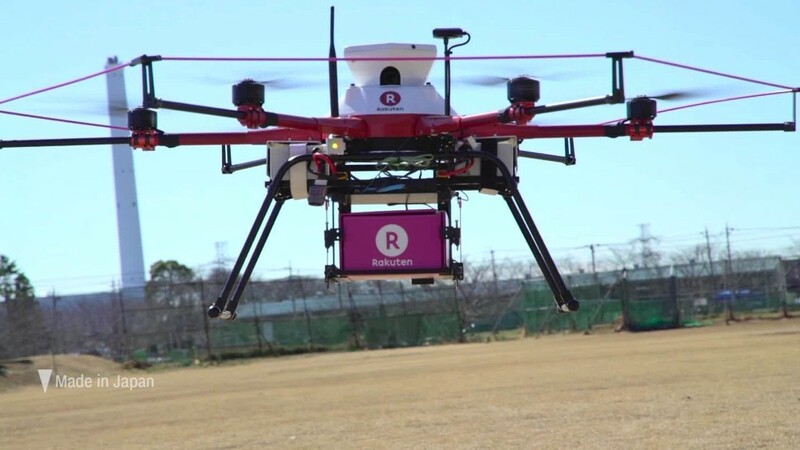 "It is not meant to be manually piloted," CEO and cofounder Edgars Rozentals told CNN Tech. "It's meant to capture yourself in action ... when you don't want to think about any technologies." A niche market for sports drones has emerged in recent years. Airdog launched its first "follow me" drone in 2015. The updated product includes a feature that lets you program the ADII's path and altitude ahead of time in 3D. If you want to bike on a certain trail, you can outline that path via the Airdog app or AirLeash screen, which syncs up with Google Earth. The drone will follow you along the route and avoid obstacles like trees and buildings. The drone can also adapt to your movements or circle around you. Various pre-set modes let you change the drone's position based on activity. For example, the watersports mode positions it in front of the subject and prevents the drone from landing in the water. 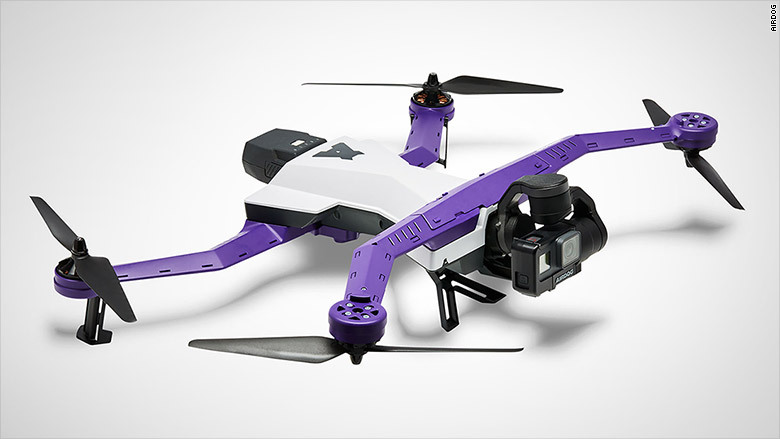 The purple and off-white ADII drone folds up and fits into backpack. But like competitors, the ADII doesn't come with its own camera -- you'll need a GoPro Hero 5. The drone is available for $999 for early Kickstarter backers and will ship in August. It will eventually cost $1500.